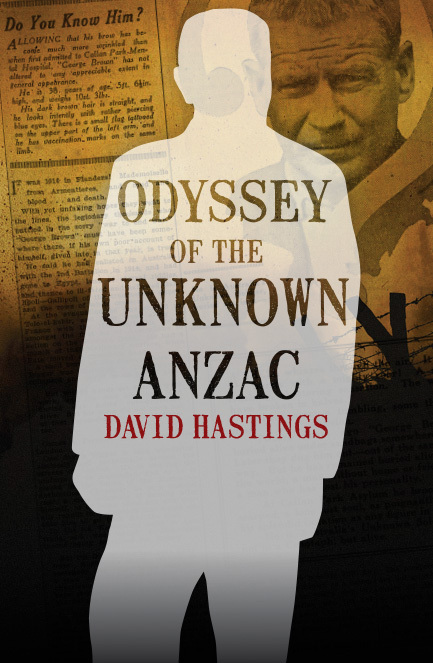 Three things stand out about David Hastings’ book Odyssey of the Unknown Anzac. First, it is about a New Zealander. Too often Australians forget the NZ in Anzac. Second, it is about a deserter: on the Western Front in France in July 1916, George McQuay abandoned his unit and its cause. If there were heroes among the Anzacs, as we are often reminded, there were also men who found war unbearable. Third, the book is short, only 152 pages. This is no Peter FitzSimons doorstopper. Hooray, I say. Hastings’ story of McQuay’s troubled life tells us something new about Anzac, and is the more interesting for it. George McQuay was born in 1886 and raised in Stratford on the North Island of New Zealand. In February 1915 he enlisted to fight in the Great War and four months later he sailed for the war. But army life was not for him. He spent much of the journey to the Middle East serving punishments for being absent from parade. He made few, if any, friends. A month after George’s ship left New Zealand, and before it reached Suez, a medical committee ruled that George was mentally unfit and should be discharged from the army. He wasn’t discharged. He went to Gallipoli, then to the Western Front in France. George deserted in July 1916, having come close to doing so before then. His fellows in the 16th Waikato Company had long thought him odd and, since late 1915, when he had suddenly reported sick on the eve of the company’s return to Gallipoli, a coward. 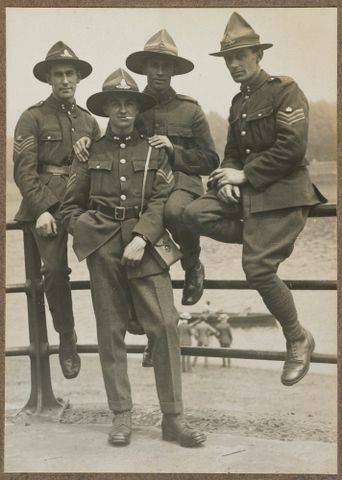 When George was found and arrested by military police in August 1916, he said he was George Brown, Australian soldier. He was evacuated to England, once again declared mentally unfit, and this time discharged from the army. He spent the next 12 years in a Sydney mental hospital, unknown outside its walls and lost to his family. In 1928 George’s identity was discovered and he was reunited with his relatives and New Zealand. The pages describing the events that led to the reunion with his family are among the most engaging in the book. Odyssey of the Unknown Anzac is both the story of George McQuay’s war and a book about mental illness. George had schizophrenia. Hastings suggests that George was a schizophrenic before the Great War – why he enlisted is unclear – and gathers evidence that the conflict exacerbated rather than caused his affliction. George may have had some success in managing his mental illness before the war, when he seems to have led a more stable life. But in the army his life wasn’t his own. He was a tiny part of an enormous institution that had little time for individuals and their troubles, and limited understanding of the psychological effects of war. When George slipped away from the fighting on the Western Front in 1916, his desertion may have been the product of a psychotic episode rather than a rational, considered act. The stories of George the soldier and George the schizophrenic are hopelessly entwined. This purple passage, and related others, made me think not of men at the frontline, but of John Howard, that self-styled little Aussie battler, and his attempt to write ‘mateship’ into the Australian constitution, a proposal that met with a measure of derision and then rejection by the Australian people. Hastings’ writing on ‘mateship’ seemed incongruous, especially given his book otherwise steers clear of the nebulous stereotypes and chest-thumping jingoism that has plagued much Anzac literature in recent years. While Hastings’ book generally is easy to read, his phrasing and language is a distraction. Clichés fill the book: ‘tip of the iceberg’; ‘too hot to handle’; ‘pass the buck’; ‘alarm bells start ringing’. Austria responded to the assassination of Archduke Franz Ferdinand in Sarajevo by ‘cranking up the pressure on Serbia behind the scenes’. ‘Everyone’ is used where Hastings means ‘some’ or ‘many’. George’s story is told with phrases not of his time. I can imagine my undergraduate students saying they ‘kicked on’ from one party to another, but not George and his brother in 1907. Hastings writes movingly of a New Zealand soldier suffering depression, then later describes him as ‘stressed-out’, a modern conceit. This slip in expression matters more than the others because it trivialises the torment endured by the soldier and undermines one of the author’s themes: the ways in which war damages minds. This is not nit-picking. A powerful subject demands powerful language. Through the book are glimpses of ways in which Anzac observance has changed. Hastings quotes an editorial, published in 1928, in the New Zealand Herald: ‘They mistake the truth utterly who see in the keeping of Anzac Day any glorifying of war … That was neither desired nor intended when the day was set apart.’ Rather, Anzac Day, writes Hastings, was conceived to honour ‘those who had shown courage and made sacrifices in the line of duty’. Is there room in modern Anzac observance to remember men such as George McQuay, soldier, schizophrenic, deserter? There should be. George’s very enlistment was an act of courage, and his sacrifices were great. For nearly 15 years he was separated from home and family, and when he did return to New Zealand the war kept its hold. The trauma of his experiences limited his existence and that of his devoted mother and sister who cared for him. George McQuay died in 1951, aged 65. As surely as the Anzac soldiers buried at Gallipoli and on the Western Front, he was a victim of the war. * Seumas Spark is a research fellow in history at Monash University. He is co-author, with the late Ken Inglis, Jay Winter, and Carol Bunyan, of Dunera Lives: A Visual History, to be published shortly by Monash University Publishing.